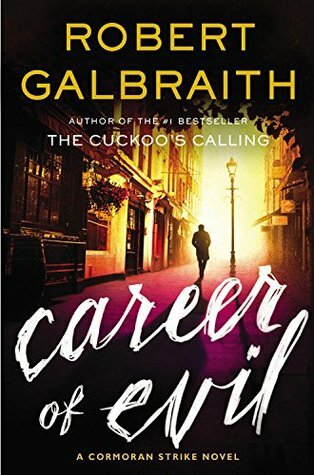 Career of Evil, the third tale of private detectives Cormoran Strike and Robin Ellacott, begins with Robin opening a package containing a woman's severed leg. Press coverage surrounding the event threatens to sink the business, and Strike becomes convinced that someone from his past sent the leg to exact revenge. With no other cases on their docket, Strike and Ellacott, follow the paths of several men who used to know Strike, in hopes of finding the killer before he hits closer to home. I recently listened to an episode of Pop Culture Happy Hour in which Barrie Hardymon interviewed JK Rowling about writing the book. The episode is worth a listen (it's pretty short), and it touches on a lot of the things I felt while reading the novel. First of all, we spend lots of time in this book inside the mind of a serial killer, which is a deeply uncomfortable place to be. I don't get icked out by much of what I read, but there were times when I wondered if I wanted to finish this book. Ultimately, I'm glad that I did, because I'm a firm believer that we expand our worldview when we learn about points of view that are different from our own, but this was a very difficult book to read sometimes. Also, I was glad that Hardymon and Rowling talked about the sexism in the book. The side story in the book deals with Robin's upcoming wedding, and if you've read either of the first two books, you probably recognize that Matthew, Robin's fiance, is someone she's with more out of comfort and a sense of duty than because she really wants to spend the rest of her life with him. Rowling talks about Matthew's subtle sexism, but I'm equally interested in Strike's subtle sexism. Career of Evil is fast-paced, expertly plotted, and really thoughtful, and while it was definitely for me, I know that it's not for everyone. Content Alert: maybe some language? Have you ever wanted to live creatively but felt mired in the everyday miasma of living? I do. 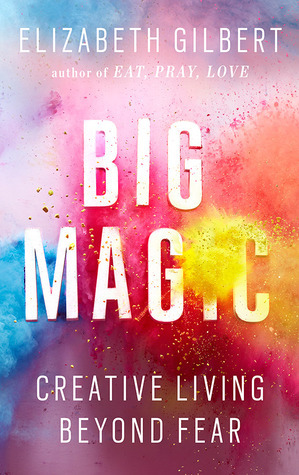 In Big Magic, Elizabeth Gilbert writes about steps to take to live a creative life. She talks a lot about the spirituality of creative inspiration, which I really love about the book. And yes, it's a motivational rah rah sort of book, and that's just what I need right now. You see, I don't just read books and review books. I've always wanted to write books. Right now, I'm about 50 pages into the first draft of a novel. It's an idea that I've had percolating for a while (if you have an hour I'd be happy to tell you all about it), and I gave myself a deadline-- by the end of this school year, I want to have a complete draft. But finding time to write with six kids and a job and editing Segullah and being primary president isn't easy. So I need the motivational speeches. I wrote a post about this book the other day at Segullah, and how it both inspires and scares me. This book could change your life, but probably not if you listen to the audiobook. I felt similar to how I felt when I listened to Brene Brown's Rising Strong-- that when you listen to an audiobook, it's hard to stop and think and take notes (I usually listen when I'm running or folding laundry or driving), so a lot of the stuff I want to remember gets missed. And it's probably better to mete out the motivation bit by bit. When I was a senior in high school, I spent the whole year collecting quotes, which I printed out on my word processor and then cut into tiny hearts and pinned to the bulletin board in my freshman dorm room. I feel like I could pin a whole board of quotes from this book that would be useful to me as a writer, but now I've forgotten all of them. Never fear, though, Gilbert has a podcast that serves as a companion to the book, and I'm waiting to listen to the first episode when I need an extra dash of motivation. Remember Louisa Clark, the heroine of Jojo Moyes's Me Before You? When After You opens, months have passed since Lou helped Will, her quadraplegic employer (and the man she was hopelessly in love with), commit suicide, and she's floundering. She doesn't know how to redirect her career and is working at an awful bar. She's still too in love with Will to date, and she's drinking too much. When she falls off the roof of her London apartment building and narrowly escapes death, she realizes that she needs to make some serious changes in her life in order to keep living. So she reluctantly agrees to join a support group, meets a difficult teenager who needs some help, and everything starts to fall in place. I loved Me Before You. It was one of those books that made me sob. It felt both completely heartbreaking and unfair, and beautiful and right. I wouldn't say that After You is quite as emotional as its predecessor, but it felt very real. Someone in Lou's position probably would struggle after the experience she went through, and in this way, it was nice to see what happens after "the end." And while the highs and lows weren't as high or low, they were sweet and meaningful on a smaller scale. 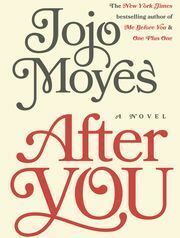 There's a lot of redemption in After You, and it's lovely to see Louisa grow into womanhood in this novel. When I was growing up, I knew a family with several sons and daughters. The sons in the family were all petite and small boned, while the daughters were tall and broad. In The Masqueraders, Prudence Tremaine and her brother Robin use the same situation to their advantage. Since their father played a part in the Jacobite revolution, they've had to change their identities, with Prudence becoming Mr. Peter Merriott and Robin assuming the role of his sister, Kate. They ingratiate themselves into London society, and the ruse works until they fall in love and are accused of murder, and somehow, they have to use all of the skills of trickery they learned from their father to come out on top. The Masqueraders is a really interesting book on several fronts. 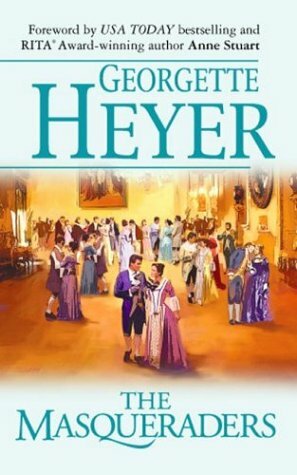 First and foremost, I love Heyer's portrayal of Prudence/Peter and her love interest, Sir Anthony Fanshawe. Fanshawe admires Peter, and grows to love Prudence, not despite the fact that she's been disguised as a man, but for her strength. Instead of rescuing her, Fanshawe and Prudence work together to help her get through the situation she faces. I also adored the twist that comes late in the book when the Tremaine's father appears. It's genius. The Masqueraders is really fun and funny. It feels a lot like a Regency-era Shakespearean comedy, complete with mistaken identity, cross-dressing, and multiple marriages at the end. When Donal Cameron's grandmother needs to have surgery and no one on the ranch in Montana can care for him, he boards a Greyhound and heads east to Wisconsin. He has adventures to spare along the way, and gets plenty of signatures for his autograph book. At the end of the journey, he meets his cantankerous Aunt Kate and her husband Herman, and Donal's life is changed by this strange summer of new experiences. Ivan Doig died in April, and this book, his last, was published in September. In many ways, Donal's life reflected Doig's own. Both lost their mothers when they were young and were raised by grandmothers who worked as ranch cooks. While it's impossible to read Doig's fiction and not fall in love with Montana, or at least with the idea of Montana, this book was also different from his other works in many ways. It was a little bit more rambly and ruminative. I loved the three principal characters, and Doig did a lovely job weaving characters into and out of the journeys to and from Wisconsin. While I'm really sad that Doig is gone (he's one of those authors where sometimes I'd say, "I'm in the mood to read an Ivan Doig book") the good news for me is that I came to him late enough that there are still books to be discovered. This, like everything I've read in his body of work, is a real treat. You know how you sometimes fall in love with a character on a tv show, and then you're disappointed that they don't exist in real life? Well, I have sort of the opposite feeling for Mindy Kaling. 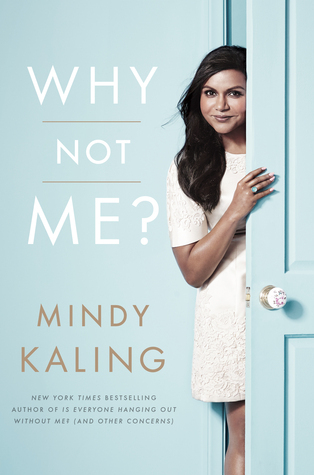 Kelly Kapoor, her breakout role on The Office, was someone I never really connected with (and I haven't watched The Mindy Project yet, but it's on my list), but somehow I ended up reading Kaling's first book Is Everyone Hanging Out Without Me? and I fell in love with it, and with her (and isn't it nice when the real person behind the character is so much cooler than the character?). So I had high expectations for Why Not Me? and Kaling surpassed all of them. This book is funny (of course), but it's also really honest and open, and not just about interesting but superficial things like how to get your clothes tailored so they fit your body perfectly, but also about deeper things like how she decided sorority life wasn't for her, what it's like to work in Hollywood when no one else looks like she does, and how she credits her success to lots and lots of hard work, and not simply to being in the right place at the right time (and her resume attests to her work ethic). She reads the book herself, and has perfect delivery, and she finally answers the question about what is going on with her and BJ Novak. Even though Kaling's a little loose with the language, I heartily recommended that my teenager daughter give the book a listen, because let's be real, a girl who works hard but also loves great shoes is a pretty good and realistic role model. 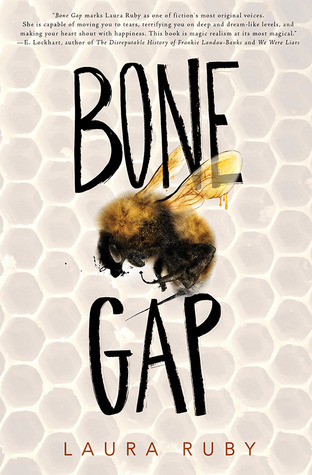 Finn and his brother Sean live in Bone Gap, which looks a lot like any small rural town. People tend to get lost in Bone Gap. Finn and Sean's mom left with an orthodontist a few years ago, and they've been alone ever since. Well, for a while they had Roza, Sean's girlfriend, but she disappeared too, right before Finn's very eyes. He hasn't been able to forgive himself for letting her go. At first, I wasn't sure I liked Bone Gap. I wasn't sure I trusted the world Laura Ruby was creating. Was it our world that Sean and Finn and Roza lived in? Or was it it our world, with a twist. For a long time, I wasn't sure. When we hear from Roza, she feels like she's inside the nightmare part of a fairy tale, and I didn't know how a world that contained EMTs and beekeepers who like to make out could also contain Roza's story. But Laura Ruby makes it work. She makes us reexamine how we see the world, and look for the gaps in our own spaces. The book manages to feel both intensely realistic and one step away from reality. I always figured that the story of Lisbeth Salander died with Stieg Larsson; that her three adventures with Mikael Blomkvist would be part of the body of Nordic crime fiction for time immemorial, but that she'd remain frozen in amber, without a neat resolution. So I was excited and a little dubious when I read that David Langercrantz had picked up and written The Girl in the Spider's Web, a new book in the Millennium series. In this book, Salander has her greatest challenge yet-- in the middle of a hack and a murder, she's charged with the care of the young, autistic child of a dead computer genius. Salander is famously socially challenged, and this book provides lots of opportunities for readers to see her grow. 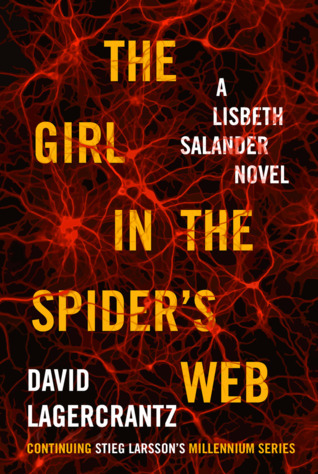 In The Girl in the Spider's Web, Lagercrantz is able to continue with all of the action and all of the complications that Larsson put into place with the original three novels. I'd say that in some ways the books are even better. There was far less emphasis on minute details like IKEA furniture lines and the brands of convenience store food Salander was eating (you can't edit a dead guy, I guess). Lagercrantz also ensures that Salander's extremely dysfunctional family will continue to plague Norway for years to come. For those of you rooting for a Mikael/Lisbeth relationship-- there are possibilities for that storyline to continue as well, although, I for one, think the series would be better without that angle. If you read Rainbow Rowell's Fangirl, you probably remember Simon and Baz. Cath, the protagonist of Fangirl was obsessed with Simon and Baz, two of the main characters in a Harry Potter-esque series by Gemma T. Leslie. Cath wrote fanfiction in which Simon (Harry) and Baz (a mashup of Ron and Draco Malfoy) finally got it on in their final year at boarding school. 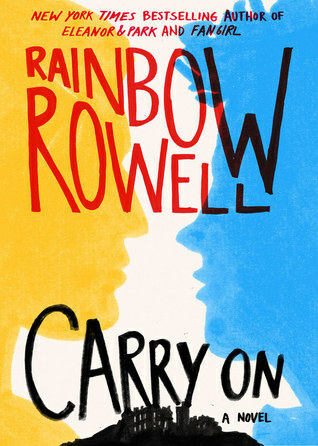 In Carry On, Rainbow Rowell writes her version of what happened in that final year-- including evil wizards, vampires, magic, and lots and lots of kissing. I'm not entirely sure how I feel about Carry On. On the one hand, I think the idea of the book (that's she's telling her version of a story she created for another character to write fanfic about in another book) is pretty fascinating. On the other hand, I think the book draws so many obvious parallels to Harry Potter that it's hard not to compare the two, and the objectives of Rowell and Rowling are very different. While Harry and Ginny Weasley liked each other, their romantic relationship definitely took a back seat to the action and adventure and magic in the 4,224 pages of the Harry Potter books. By contrast, Carry On is 522 pages, and it contains ten times as much kissing as all of Harry Potter. Not that I don't like kissing-- it just seems that Rowell sets herself up for comparison with Rowling, and the comparatively small size of Carry On makes it nearly impossible for the kind of immersive experience someone gets from Harry Potter. So anyone looking for the book to be epic adventure might be a little disappointed. If you're looking for epic love story between teenage boy vampire and the wizard who was supposed to save the world, then you won't be disappointed. Today the National Book Awards are being announced. 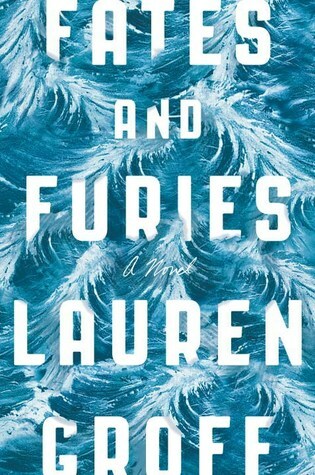 I've read three of the five finalists (you can see my reviews of The Turner House and A Little Life), and Fates and Furies by Lauren Groff would be my pick if I were judging. I was captivated by the first page of the book, which opens on the day Lotto and Mathilde, seniors at Vassar, elope after two weeks of dating. Lotto, the scion of a wealthy Florida family, struggles as an actor, and when he finds success as a playwright, he credits all of it to Mathilde, who loved him and made his work possible. First, we get Lotto's view of the marriage, and after his death (about midway through the book), the point of view switches to Mathilde, whose outlook on the relationship was more pragmatic and less rosy. I read an NPR review of the book that says that Lotto's perspective represents the fates (the gifts) while Mathilde's represents the furies (the vengeance), but I think it's a lot more complicated than that. Lotto and Mathilde enter the marriage as nearly complete strangers, and while they do love each other and stay married for a long time, they (or at least she) still keep parts of themselves secret. I love the epic nature of this book (how could it be anything else with a title so grounded in Greek mythology? ), and the focus on the minutae of marriage. Lotto and Mathilde are gorgeous, fully-rounded characters, and one of the things I loved best was that they still had the capacity to surprise each other, in good ways and in bad, even years into their marriage. Fates and Furies isn't only a love story, or the story of a marriage, because Mathilde's story is also a lot about childhood trauma, grief and resolution. Although the subject matter is difficult at times, it was a really engaging read for me. I wanted to gobble this book up, and then I was sad when it was over. So This is Water isn't really a book; it's really the transcript of a graduation speech Wallace gave at Kenyon College in 2005. 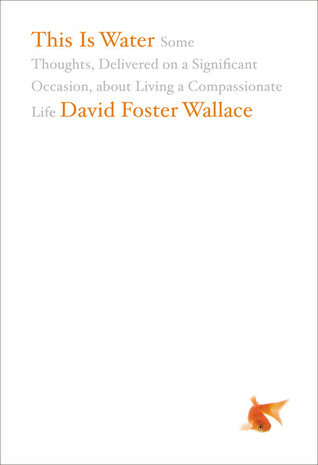 My husband is a huge fan of David Foster Wallace, and although he has never tackled Invisible Jest, I think that he wanted to complete the body of Wallace's nonfiction and bought this. The main jist of the speech is that we should not be selfish as adults, and that compassion is more important than the conventional markers for success. We made our older kids sit down and read this with us. One of the hard things is that he talks about suicide at length in This is Water, which was given just three years before his own suicide. Home is the second installment in Marilynne Robinson's trilogy about Gilead, Iowa, although it takes place concurrently with Gilead. I read it third, and probably loved it the most. Glory, one of the youngest of Reverend Robert Boughton's many children, has left her job as a schoolteacher to care for her ailing father. Shortly after Glory returns, her brother Jack, the lone prodigal, also comes home. The two siblings, the spinster and the rake (as their father sees them, and as they've come to see themselves) have to sort out problems in their own lives and shepherd their father through his final days. For me, Home is all about the assumptions people make in families and tight-knit communities-- Glory and Jack have known each other all their lives, and it's hard for anyone to see them in new and different ways. Glory can never tell anyone about the fiance who turned out to be married. Jack never opens up about what it means to be in love with a black woman and the father of a biracial in the American South in the 1950s. Reverend Ames, a much more prominent character in Gilead and Lila, the other books in the trilogy, never learns to see Jack as anything other than a ne'er do well, even though he's gone through transformative experiences with people in his own life. 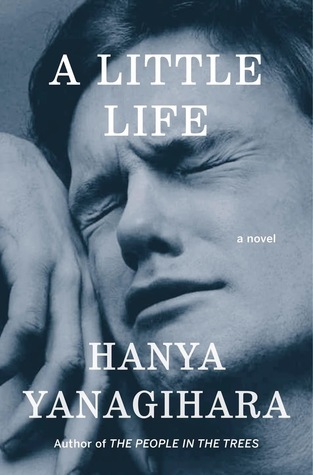 The ending of this book is both profoundly beautiful and sad. 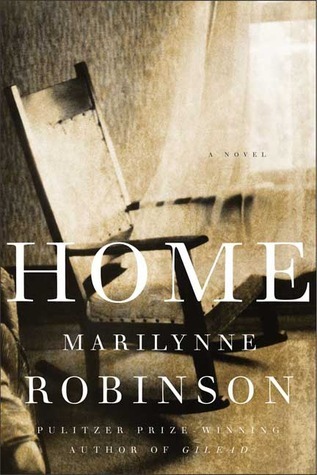 Robinson's beautiful writing and thoughtful Christianity make Home a book to be savored. Claire is 40, the head of the English department at her high school, and the mother of two girls, a teenager and a toddler, when she's diagnosed with Alzheimer's Disease. She's lucid enough to recognize what she's losing-- time with her daughters, and her love for her husband, who feels like a stranger, but she finds refuge in her memory book, a scrapbook where she records the important events of her life. 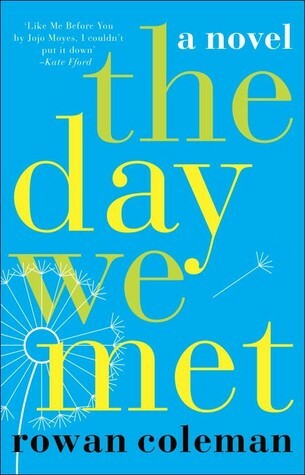 Claire's story in The Day We Met is tragic, yes, but it's also complicated and sweet and infused with love. Her daughter's secondary story about meeting her biological father for the first time and choosing the path for her own future adds richness to the main story. I applaud Rowan Colelman for being able to create an enjoyable, light, moving story about a difficult topic. I appreciated the shifting narratives, and the way that she manages Claire's moments of lucidity amidst her growing confusion. I also love the ending, with its resolution to a mysterious love story. But the most impressive thing about the book comes in the author bio, in which we learn that Coleman has five kids, including toddler twins. And she's written ELEVEN books. I want to give The Day We Met a five-star rating just for that accomplishment. 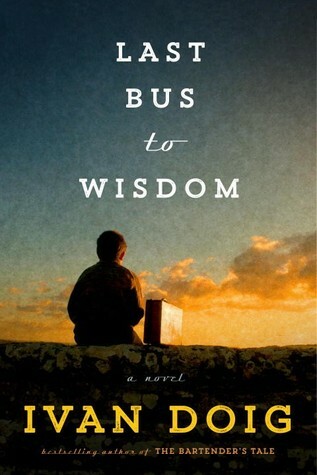 A couple of nights ago, Ed and I were driving down to the BYU basketball game together, and I started telling him about this fantastic book I was reading. I said something about how it was about a group of friends who met in college, then moved to New York, and how the central character, Jude St. Francis, had suffered horrible abuse as a child, first abandoned at birth, then growing up in a monastery, then when he was taken by one of the monks and used as a prostitute, then finally, when he ran away and met even worse people who damaged him both physically and mentally. But eventually he became successful and found a family and someone with whom he could share his life, and yes, it's true that he refused to talk to anyone about his past and cut himself to deal with the psychic pain, but it really was a fantastic story. "Wow," Ed said. Remind me not to read that book. A Little Life is a deep dive into Jude St. Francis's life. His struggles to overcome his past, and the way he never really can see himself as something other than fragile or broken. I don't think it could be classified as anything other than a tragedy, but it's also hopeful in lots of ways. I think it shows that someone whose life is scarred from the beginning and continues to bear those wounds can also have moments, even years, of beauty. It's a difficult book, and a book that is both incredibly detailed yet also feels almost timeless (I never could figure out what year the book started and what year it ended-- it all felt like it took place in the present), and I can see that it wouldn't be something everyone would enjoy, but I found it really moving, and I think I'm a more empathetic person for having known Jude, at least over the course of 700 pages.